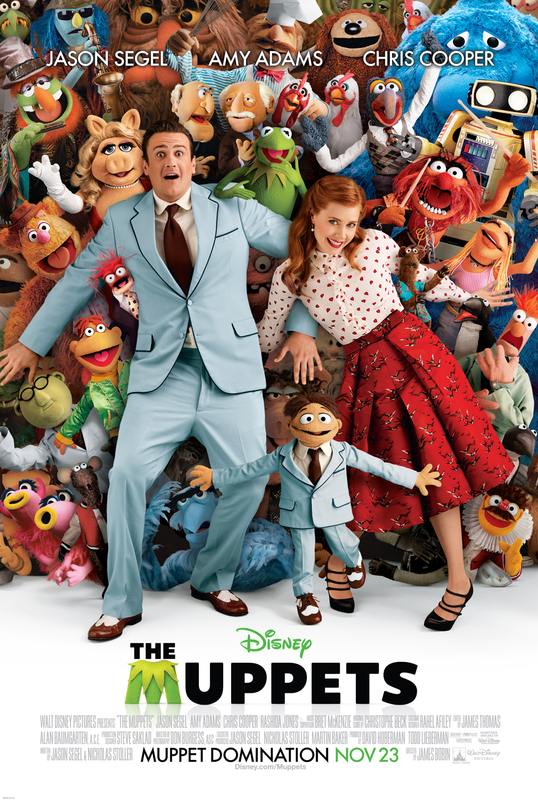 Leave it to Jason Segel, Amy Adams and Jack Black to use the Muppets not as a gimmick, but as a means of drawing us into a unique and magical world. Kermit the Frog, Miss Piggy, Animal, Fozzie Bear and the other Muppets have been absent from our lives for so many years. As far as I’m concerned, I got hooked ever since I watched “The Muppets Take Manhattan” when I was just a little kid. So imagine my excitement when I heard the news that a new movie was being made. As it turns out, the movie is a joy to watch, the kind the Muppets really deserve. At first blush, the man who starred in “Forgetting Sarah Marshall” and “I Love You Man” might seem an unlikely choice for this endeavor. No worries. The new movie never adds insult to inspiration. What it does instead, is set a good spirited Muppets fan (Segel), his girlfriend (Adams), and his puppet brother Walter on a journey to the Muppets studio in Hollywood, only to discover that it’s been deserted and about to be torn down by a greedy oil baron (Chris Cooper). The solution? Locate Kermit the Frog and his old gang and persuade them to televise a Muppet reunion. Not a bad idea. Everything works like a charm, from the very funny gags to the memorable songs, including Segel’s terrific ballad “Man Or Muppet”? But it’s Kermet, Piggie, and newcomer Walter who really steal the show. The new “Muppets” is a rare family friendly film that offers sensory pleasures and plenty of laughs. In a perfect world, it might even inspire young viewers to check out some of their older films. At the very least, it will show audiences what a director can achieve when he is truly inspired by his material. Welcome back Kermie.